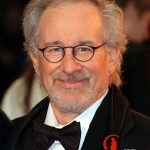 Steven Allan Spielberg better known as Steven Spielberg is one of the most famous American film director. He was born on December 18, 1946 in Cincinnati, Ohio, United States. He is the son of Arnold Spielberg and Leah Adler. In a career of more than four decades his films are based on different themes and genres as his early science-fiction and adventure films were seen as archetypes of modern Hollywood blockbuster filmmaking. For his successful career he is considered one of the most popular and influential filmmakers in the history of cinema. For his directorial debut in the films Schindler’s List (1993) and Saving Private Ryan (1998) he has won Academy Award for Best Director. 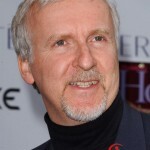 James Francis Cameron better known as James Cameron is a famous Canadian film director. He was born on August 16, 1954 in Kapuskasing, Canada. He is the son of Phillip Cameron and Shirley Cameron. He earned his first major success with the science-fiction film The Terminator in 1984 and became the popular Hollywood director for his directorial work in Aliens in 1986 and The Abyss in 1989. For his work in 1997 in the film Titanic he won the Academy Award for Best Picture and him the Academy Award for Best Director and Film Editing. After his big success he began a project that took almost 10 years to make: his science-fiction epic Avatar (2009) which earned him a nomination for Best Director and Film Editing again. He has been nominated for six Academy Awards overall and won three for Titanic. 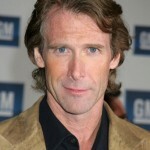 Michael Benjamin Bay better known as Michael Bay is one of the most famous American film director and producer. He was born on February 17, 1965 in Los Angeles, California, United States. He is well known for directing high-budget action films characterized by their fast edits, stylistic visuals and substantial practical special effects. His films Armageddon in 1998, Pearl Harbor in 2001 and the Transformers film series (2007–present) have grossed over three billion dollars world-wide. 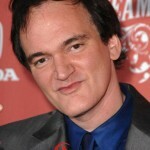 Quentin Jerome Tarantino better known as Quentin Tarantino is one of the most famous American film director. He was born on March 27, 1963 in Knoxville, Tennessee, United States. He started his career in the late 1980s when he wrote and directed My Best Friend’s Birthday. In 1990s he began his career as an independent filmmaker for which he released Reservoir Dogs in 1992. He rose to fame with the release of his second film Pulp Fiction in 1994. For his work and directorial debuts he has received several industry awards, including two Academy Awards, two Golden Globe Awards, two BAFTA Awards and the Palme d’Or and has been nominated for an Emmy and a Grammy. Mel Colm-Cille Gerard Gibson better known as Mel Gibson is a famous American actor, director. He was born on January 3, 1956 in Peekskill, New York, United States. In 1980s he started appearing in the films as an action hero. In 1990s he moved himself towards directing along with acting in the films for which in 1993 he released his film The Man Without a Face. He rose to fame with his film Braveheart for which also won the Academy Award for Best Director. In 2004 he directed and produced The Passion of the Christ which was based on the last hours in the life of Jesus Christ. In 2006 he directed Apocalypto for which he earned lots of fame and publicity. 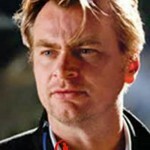 Christopher Jonathan James Nolan better known as Christopher Nolan is a famous British film director. He was born on July 30, 1970 in London, United Kingdom. Since he made his career he has directed eight features, ranging from low budget independent films to large-scale, major studio-supported blockbusters. For his work he is described as one of the most innovative storytellers and image makers at work in movies today for which he has received three Academy Award nominations, two of which are for Best Original Screenplay. As of July 2012 he was announced as the youngest director. He was also honored with a hand-and-foot print ceremony at Grauman’s Chinese Theatre in Los Angeles. 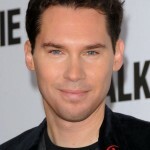 Bryan Jay Singer better known as Bryan Singer is a famous American film director. He was born on September 17, 1965 in New York City, New York, United States. He is well known for his science fiction and superhero genres for his work on the X-Men films and Superman Returns. In June 2002 he started filming on X2 in Canada which was nominated for Hugo Award for Best Dramatic Presentation, Long Form in 2004. In late 2006 he started working on a film Valkyrie which was based on World War II in which Tom Cruise played the lead role. Filming began on July 19, 2007 in Berlin and was released on December 25, 2008 which earned him lots of fame and popularity. 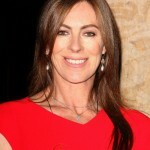 Kathryn Ann Bigelow better known Kathryn Bigelow is a famous American film director. She was born on November 27, 1951 in San Carlos, California, United States. She made her first directorial debut in the film The Loveless in 1982. In 2009 she directed the film The Hurt Locker for which she won the 2009 Academy Award for Best Picture, won the BAFTA Award for Best Film and was nominated for the 2009 Golden Globe Award for Best Drama. After winning the awards for the film The Hurt Locker she became the first woman to win the Academy Award for Best Director, the Directors Guild of America Award for Outstanding Directing, the BAFTA Award for Best Direction and the Critics’ Choice Award for Best Director. She also became the first woman to win the Saturn Award for Best Director in 1995 for Strange Days. 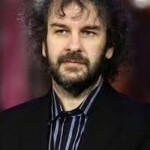 Sir Peter Robert Jackson better known as Peter Jackson is a New Zealand film director. He was born on October 31, 1961 in Pukerua Bay, New Zealand. He is best known for his film The Lord of the Rings trilogy and its prequel The Hobbit trilogy. He started his career with horror comedies like: Bad Taste and Braindead. For the film Heavenly Creatures he has been nominated for Academy Award for Best Original Screenplay with his partner Fran Walsh. For his work he has been awarded three Academy Awards in his career, including the award for Best Director in 2003, and has been nominated for nine Academy Awards overall. He has also received a Golden Globe, four Saturn Awards and three BAFTAs. 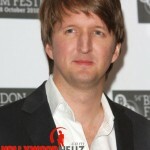 Thomas George Hooper better known as Tom Hooper is a British director. He was born on October 1, 1972 in London, United Kingdom. He started making short films when he was at the age of 13. While attending Oxford University he directed several plays and television commercials. In 2000s he directed major BBC costume drama Love in a Cold Climate in 2001 and Daniel Deronda in 2002. In 2005 he directed historical drama Elizabeth I in 2005 and continued working for HBO on the television film Longford in 2006 and in John Adams in 2008. His film King’s Speech won multiple awards, including Best Director wins for Hooper from the Directors Guild of America and the Academy Awards and a Best Director nomination from BAFTA. Undoubtedly one of the most influential film personalities in the history of film, These American Directors is perhaps Hollywood's best known directors. Best Directors &amp; filmmakers who have already sat down to be profiled on our internationally syndicated half-hour show.